So far a number of saliency detection designs have been developed for various applications in multimedia scenario. However, certain applications of stereoscopic imaging necessitate enhancing saliency detection designs to extract the salient areas accurately. Saliency detection strategy still faces many challenges like complexity in natural images as well as lesser-scale patterns in salient objects. This paper is set to obtain the saliency detection technique in two stages: feature extraction and depth saliency detection. Gaussian Kernel model is used to extract the features and Gabor filter to get the depth saliency map. 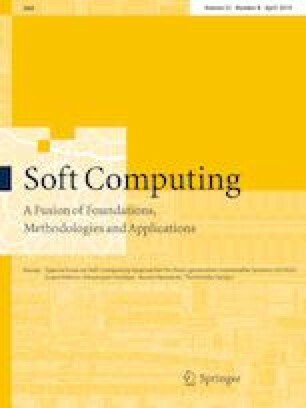 This paper optimizes two coefficients namely feature difference among image patches \( U \), from feature evaluation and fine scale \( c \), from which the accurate detection can be achieved. For this, a renowned optimization algorithm named grey wolf optimization (GWO) is used, which is a recently proposed intelligent optimization method inspired by hunting behavior of grey wolves. The saliency detection model detection model is implemented in MATLAB 2015a. To the next of implementation, the performance of the proposed model, GWO-3-dimensional saliency mapping is compared over other the conventional algorithms in terms of receiver operator curve, Pearson correlation coefficient, Kullback–Leibler divergence and area under the curve. The overall performance analysis in terms of above measures and a valuable statistical analysis are carried out for validating the effectiveness of proposed model. The entire analysis proves that the proposed saliency detection performs better than the conventional models.